Maybe you’re new to the Nixa area, or a Catholic who’s been away from the Church for a while. 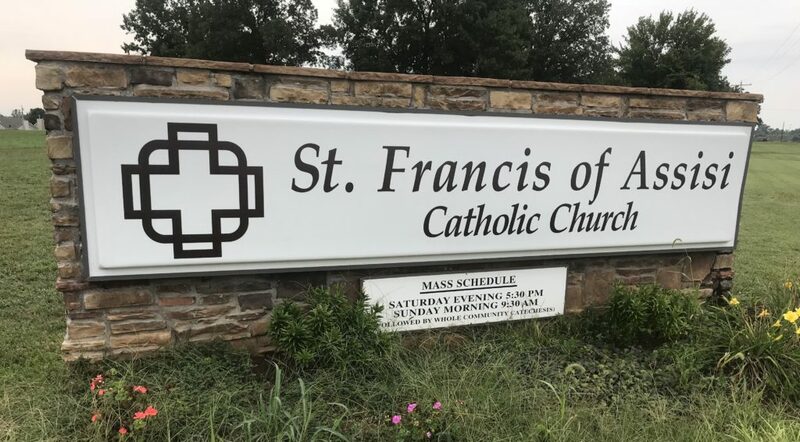 You might be a parishioner who just needs more information about St. Francis of Assisi Parish. For whatever reason, you’re on the right page. We’re happy to hear from you and hope to see you soon at Mass or one of our parish activities. Please note that the parish does not have a physical office but we do have an office manager who will answer your questions as quickly as possible via phone or email. Keep up with parish events and programs in the bulletin and on Facebook. Specific questions may be sent to those listed on the Parish Staff page. Our church is easy to access from Hwy 14 or Hwy 160. We are located 8.5 miles south of Springfield and 28 miles north of Branson.